Westbridge Homes has been designing & building great custom homes in Myrtle Beach, SC for over 20 years. Our clients love our attention-to-detail, and our willingness to really hear what their needs are. Our proven process for success is a tried & true method. Building a custom home is a labor of love that requires a dedication of time, talent and diligence. 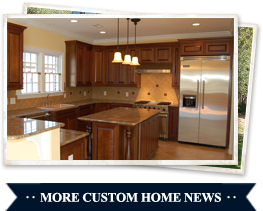 As your custom home consultant, Westbridge Homes fulfills two roles. First, we work with you creatively, building an idea of what your custom home should look & feel like. Second, we act as your coach & editor, to sculpt a clearly defined plan on how to bring that idea into reality. A great custom home is one that “feels like home” the minute you walk through the front door. A Westbridge custom home is built to last through the lifetime of memories you & your family will create under its roof. Get in touch with us today to discover what a great custom home can be.